I'm only finally starting to review my Hill Farmstead beers I got back in January. Not only that.. I still have to post photos of my trip to Hill Farmstead! 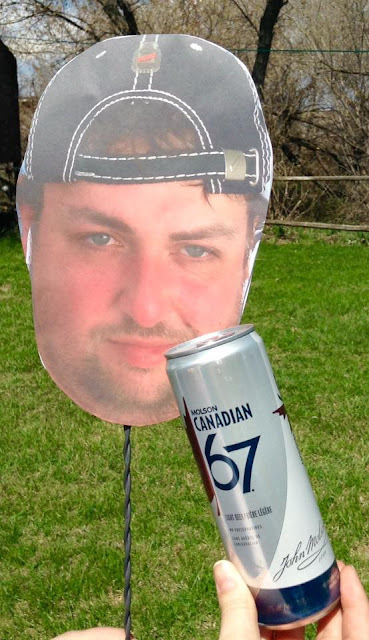 Seeing that the brewery is only a short drive from Montreal, I think I'll be back again in a year or two. 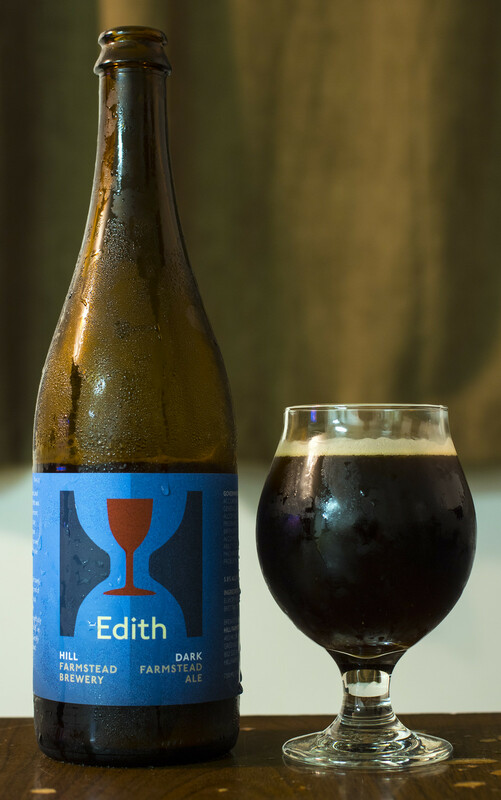 Today we're taking a look at Edith, Hill Farmstead's Dark Farmhouse Ale. Edith tops out at 5.8% ABV and contains American malted barley, German roasted malts, European hops, farmhouse yeast and Hill Farmstead's well water. Seeing that dark saisons are slowly starting to become more common in the beer scene, I get to taste how one of the top rated breweries in the world does theirs. Appearance: Near pitch black with a hint of a faint cherry wood hue against the light. A good amount of foam to start off - 1.5 fingers worth, diminishes to a nice beige cream head (very thin) and doesn't diminish any further. Aroma: The first thing that pops out to me is the aroma of Brett yeast: it gives off a sour, barnyard funk with a bit of a roasted coffee like aroma in there, light amount of oak, a hint of caramel and a smidgen of chocolate. Taste: Wow.. the tartness of a sour and Brett yeasts punches me right in the palate immediately! A good deal sour, dark fruits, a liberal amount of lemon, barnyard funk and not as roasty as I expected with it being a dark saison.. rather I'm getting more notes of a sour than saison anyways. Bit of an acidic mouthfeel with a bit of a carbonated tingling sensation. The aftertaste gives off the dark notes I was expecting, a light hint of dark chocolate and a light woodiness lingers long after the beer has been savoured. Overall Thoughts: Sour! The barnyard funk isn't as overwhelming as many of the Vermont beers I had in my brief stay back in the winter. There's a bit of sediment at the bottom of the beer, but that's alright for me. I was expecting more dark and roasted notes but I enjoyed this as it is. PHOTOS!!! 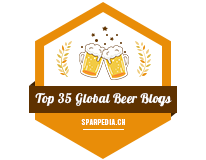 Festival mondiale de la bière 2016!